Need some high quality cases for your next day of re-loading? 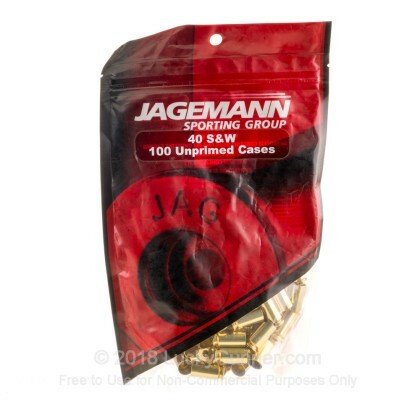 These 40 S&W casings from Jagemann are brand new, never fired and come unprimed. 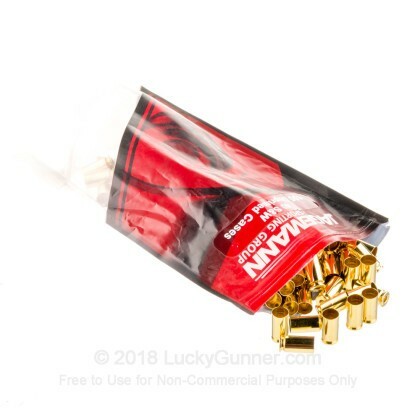 Each piece in this lose packed bag of 100 bears the "Jag" headstamp. Jagemann brass has earned a reputation for being consistent and reliable making them a perfect choice for you custom bench loads. Quality control is how Jagemann delivers such high quality and uniform casings. VIckers hardness testing is performed to ensure that the cases are durable and ammonia vapor testing is utilized to verify that the cases are corrosion resistant. Short manufacturing runs help keep the case-to-case and lot-to-lot consistency very high and an automated dimensional inspection measures every case produced to guarantee the cases are all correctly sized. 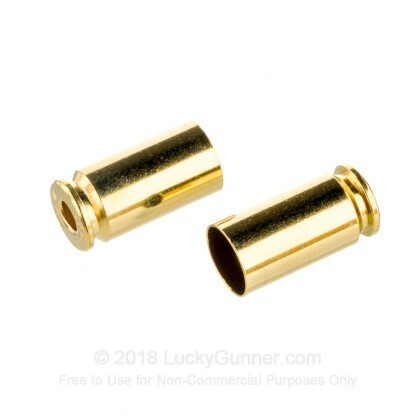 Pick up a couple bags of these high quality 40 S&W brass casings today!